1. Two years since remixing “Pearls” by renowned English R&B artist Sade, German producer Timo Jahns has released his edit officially. 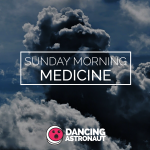 Soothing and sultry, the Vermeer-inspired deep house track can assuage any hangover’s most malevolent maladies. 2. “Secrets” by Australian producer Dugong Jr is the latest release from the Moving Castle collective. Featuring vocals from Tashka, the song seems to draw inspiration from Cashmere Cat and beach-side buoyancy. 4. Erased Tapes Records‘ latest cut is a tune for those with a uniquely acerbic need for Sunday panaceas. Labeled as classical, “What Hath God Wrought” sees the British Immix Ensemble collaborate with producer Vessel to purvey something that registers more fittingly as abstract jazz. 5. Dutch outfit Klangstof are still in their infancy, and are certainly distinct from electronic music. However, their debut track, “Hostage,” is one of the more therapeutic songs of the year thus far, invoking hints of Sigur Rós, Explosions in the Sky, and Modest Mouse all at once.